I, WILLIAM J. DYER, was born in Lamesa, Texas, during the brief time that Sputnik was in orbit in 1957. 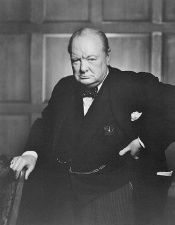 There's some dispute over whether Winston Churchill did or did not actually say this, but regardless of its source, I agree with the famous quote that "[a]ny man who is under 30, and is not a liberal, has no heart; and any man who is over 30, and is not a conservative, has no brains." (Well, maybe 35; certainly 40.) So do the math and you'll intuit my politics. IMPORTANT DISCLAIMER!  a/k/a  "Laying a bulletproof basis for my prospective 'Me no Alamo!' defense if anyone ever sues me about anything having to do with this website!" In contrast to the résumé linked above or the website of the law firm where I practice, this weblog is not intended to solicit or advise clients, nor for any other commercial purpose. Nor is this weblog in any way connected with my ongoing practice of law. Any legal opinions or information that I may publish on the BeldarBlog weblog should be considered to be exclusively for purposes of entertainment. No reader of this website should ever rely upon any legal opinions or other information published here  not even just a little bit! If you need legal advice or information that you can rely upon, I strongly recommend that you consult directly  in person preferably, or at a minimum by telephone, and not over the Internet  with a lawyer duly licensed to practice law in the state (or territory or country) where you live. I'm a lawyer, but I am not your lawyer, okay? I don't even pretend to be as careful in what I may spout off with here as any lawyer must be in advising and representing real clients. I obviously think I'm pretty smart, and I'll do my best to be right and not to mislead or lie; but nothing here should ever be assumed to represent the position of any of my clients, or my firm's clients, or of any other lawyers with whom I may practice. And please don't send me any confidential information  there's no attorney-client relationship between us and it will not be protected by attorney-client privilege! Besides: What's any jury going to do as soon as they're told you relied on a weblog from a lawyer who called himself "Beldar"? Stuff I've written here, and the relatively few original photos or videos I've made and posted here, is © 2003-2013 by William J. Dyer. However, visitors are welcome to quote, especially with links, or make other "fair use" of anything here to which I have rights. My hope and belief is that anything from another source which I have quoted, displayed, or used here is public-domain, but I encourage anyone who thinks otherwise to contact me with any claim of infringement, invasion of privacy, or so forth. Unless otherwise advised, I'll assume that anyone who emails me is speaking "on the record" and doesn't mind my posting here what they've emailed. The name "Beldar" probably belongs to General Electric, NBC, "Saturday Night Live," or someone connected to them; I make no claim to it myself, and I have no intent to harm them nor to profit personally from its joking and satirical use on this blog. "Beldar" is a nickname that goes back to my college days when, during the Fall 1978, I was part of the "Fingquo" pledge class of the Alpha Tau chapter of the Kappa Kappa Psi service fraternity of the Longhorn Band at the University of Texas at Austin. Beginning in January of 1978, the then-new network TV comedy show "Saturday Night Live" had started running a series of skits, inspired by Dan Aykroyd, about "the Coneheads"  a family of aliens from the distant planet Remulak who had badly muffed their pre-invasion mission by crashing into Lake Michigan. Aykroyd's character, the father in the Conehead family, was named "Beldar." 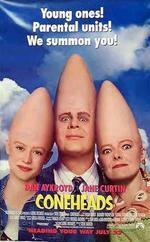 The skits were quite popular (and eventually, perhaps inevitably, spun off "The Coneheads" movie in 1993). Anyway, one night after band practice, my pledge brothers and I were brainstorming ideas for a series of comedy skits  all of which were knock-offs from current SNL skit themes  in order to entertain our brethren at the next chapter meeting. Having been pre-lubricated with our own "mass quantities of beer," we quickly decided that we needed our own "Coneheads" skit. While we figured out which of us would play each of the Conehead characters from SNL, one of my pledge brothers, struck with a fit of inspiration, suddenly pointed at me, shouted my name, and then morphed and slurred and mangled it to fit our skit needs: "Hey  Bill Dyer, Bill-Dyer, Bell-Duhr ... BELDAR!" The resulting skit was far too sexually graphic and profane to ever appear on network TV or even to be repeated here! But it was considered a big hit, and my new nickname instantly spread and, indeed, stayed with me throughout the rest of my Longhorn Band days at UT. More anecdotal and biographical details  appropriately massaged, spun, and sanitized  are scattered throughout the blog. That which is reflected on this blog.